A pet dog is a wonderful gift to give to a child, especially for kids who don't have siblings since dogs offer comfort, companionship, and friendship to their owners - plus it's a great way to teach children about being responsible. However, not all dogs are suitable for kids, particularly the younger ones hence, finding the best dog breed for children is important. It just won't do to pick the first cute one and hand it over to the child. Small dogs may get easily trampled by a boisterous youngster while the big ones may harm the child. Researching on the best dog breed for children will allow parents to get one that is just right for their age and size. 1. Labrador Retriever - Now, this is for most people, the best dog breed for children and the perfect companion for families. Although they are likewise used for search and rescue operations, these lovable and sociable dog makes for a great pet for kids. 2. Poodle - The poodle should also be included as the best dog breed for children because they are just the perfect size even for small children plus their temperament is easygoing that any child would love to have this one as a pet. 3. Golden Retriever - This dog is one of the more popular breeds around the world and makes for the best dog breed for children. 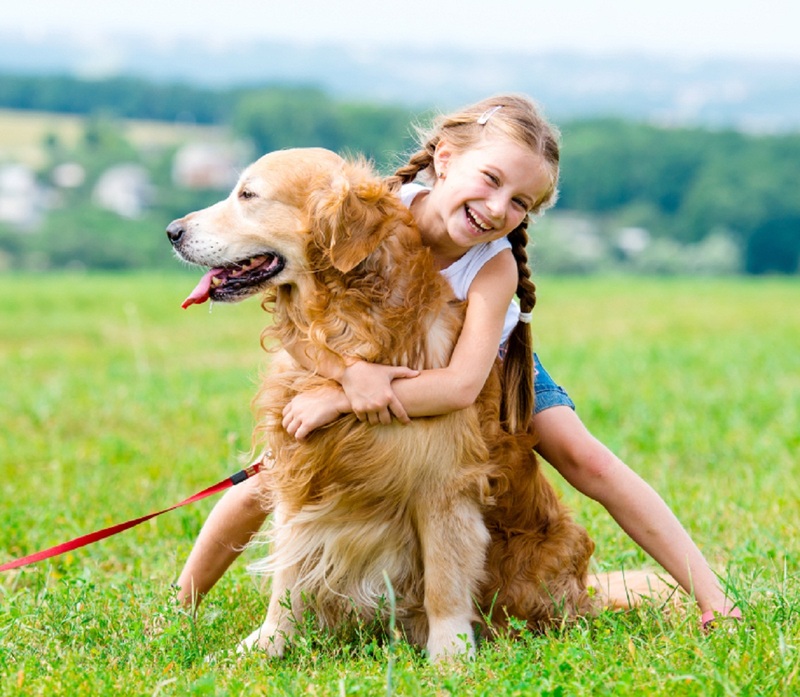 While the Golden Retriever is usually used in search and rescue programs, they also make for great family pets. They are very affectionate and this is one dog breed that truly loves attention. They can grow up to twenty-four inches and weigh around seventy-five pounds. One thing to remember about this dog is that it requires plenty of exercises and they love to play as well. 4. Beagle - Who doesn't love Snoopy? The beagle is a relatively small dog that is friendly and happy all the time. They love to be in the thick of things and would surely love a romp in the backyard with our children. They grow to about fifteen inches and weigh approximately thirty pounds. They can reach up to twenty-four and a half inches and weigh approximately eighty pounds. 5. Boxer - Lastly, Boxers are also very friendly and they are very affectionate as well. They are gentle pet dogs and are great as family dogs. They can grow up to twenty-five inches and weigh about seventy-five pounds upon maturity. These dogs have a high energy level hence; they are perfect for frolicking, playing and just having a good time with kids. Jack Rusell Benson got too close to oak processionary moths (OPM) and could have died - and now they are back terrorising the UK. The capital of England and the UK is being plagued by an outbreak of toxic moth caterpillars that can cause itching, rashes, sore throats, eye problems and even anaphylaxis. The heartbreaking story of a dog who nearly died after sniffing a toxic caterpillar is one that every dog owner needs to see it. But within six hours, part of his ears, eyes and nose started to swell up and he was immediately taken to the vet. It turned out he had gotten too close to oak processionary moths (OPM) and could have died. Benson's owner, who lives in North Camp, Surrey, said it took him around a month to fully recover. He told Get Surrey: "He was medicated and it took two weeks to recover and then another couple of weeks of keeping it clean and removing dead skin." OPM only live in London and some neighbouring counties, and were found in Guildford Mole Valley, Elmbridge, Epson and Ewell, Runnymede and Spelthorne last year. The Forestry Commission say that OPM were first accidentally introduced to Britain in 2005, almost certainly when eggs which had been laid on live oak plants were imported from continental Europe. People and animals can come into contact with the hairs when they are blown by the wind. If you see the caterpillars or their nests, do not approach, touch or try to remove them. Instead, call in pest control if they are on your own trees and call NHS111 or visit a doctor if you think you have had a serious allergic reaction. You should also keep animals away from OPM and consult a vet if you think your pet or livestock has been seriously affected. Dogs are one of the most popular pets in the world and have been living with humans for thousands of years. However, how much do we really know about the canines we share our homes with? Well, here are some basic things you should know when dealing with a pet dog:. 1. Most of the day - at least 12 hours - the common dog spends sleeping. So don't wonder if you see your dog almost all of the day snoozing on his bed. But hey.. if no one decides to play with him or let him herd some sheep.. what should he do all day long? 2. Also, don't give a dog your table scraps. First, it is not your personal garbage can. Second, this behavior makes sure your dog will get bad teeth and will grow fat. And you don't want to have a fat dog with yellow teeth, do you? It's for his and your own good if you resist his health and good looks. 3. First of all, a dog is not a human in disguise. 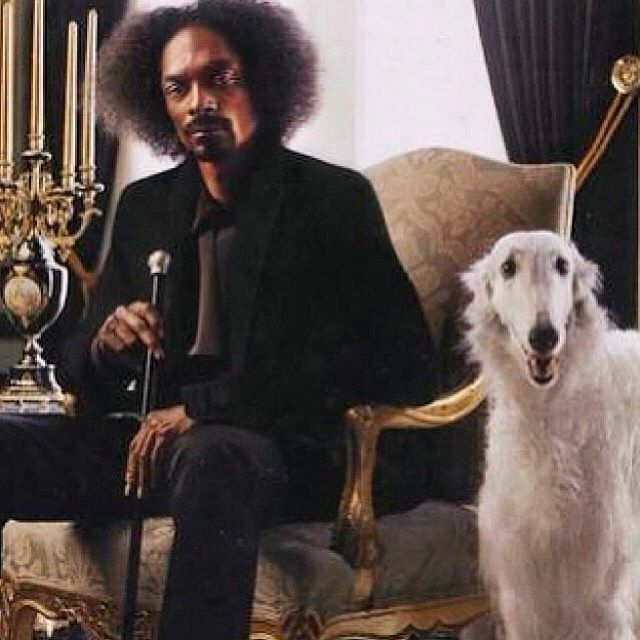 A dog is a dog and he will never change his dog behavior because you don't treat him like a dog. A dog's psyche is hardly comparable to a human's psyche. Also, he is not a baby and he won't understand you if you tell him in all details that he has to stay in the car while you are going into the store and you will be back in about five minutes. 4. A dog has an extremely sensitive nose. He can even smell the chemistry in your body. You sure know the phrase that a dog can smell your fear. That is very close to the truth because he can smell even smallest concentrations of butyric acid in your transpirations. And if you are in fear of something, you will inevitably have amounts of butyric acid in your sweat and a canine will inevitably smell that. 5. 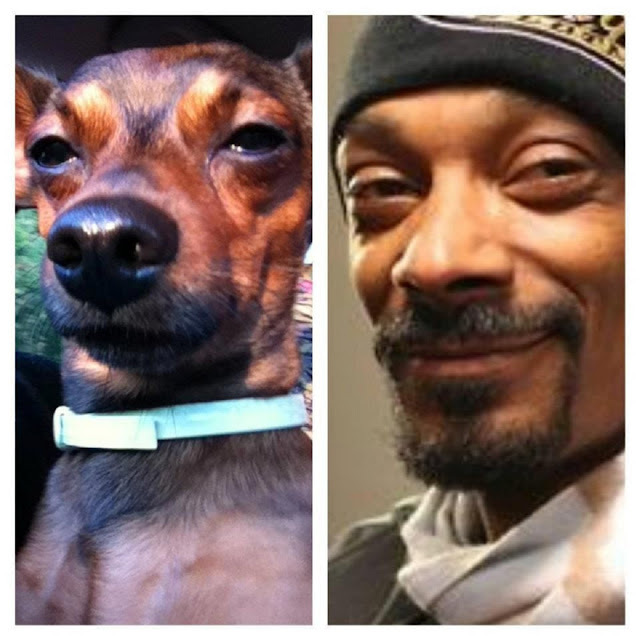 As you know, there are many different breeds of dogs that have been created over thousands of years. Every single breed has its own unique abilities and physical appearance. For example, the German Shepherd is built for herding sheep and similar animals. His power, speed, and intelligence are oriented on the needs of herding. In the same way, the dachshund's physique is ideal for getting into foxes' dens and drive the foxes out straight into the arms of the awaiting hunters. 6. Running and exercising is the favorite pastime of every healthy dog. So walk your dog as long as you can - he will love you! 7. This is the last and most important hint for dog owners. Reward your dog instead of punishing it. Neither you nor your dog will improve in any way, if you begin to shout at him, beat him or lock him into somewhere for punishment. Instead, you should reward him when he has done something right. BUT that does not mean you should let your dog do everything. Show him the limits with determination and conviction, not with scared or angry screaming. 8. Don't feed your dog bones of chicken or other poultry bones as it is possible that this type of bone can - due to their physical attributes - easily splinter and these splinters can damage the canine esophagus. These injuries can be very serious, so don't risk it! 9. Chocolate is poison for dogs! But still, it is as tasty to them as it is for you. As a caring dog owner, don't let your dog come close to chocolate! Also, onions, grapes, and raisins should never be fed to a dog. The reason for the toxicity of these foods is the chemical theobromine, that is similar to caffeine which most animals can hardly digest. 10. What a dog definitely needs to maintain a healthy body and mind, is a pack and especially a leader. I will explain to you how to act as the pack leader in another article in the near future - you will find it here on the site! An ongoing debate has been waging among dog owners, dog breeders, dog trainers and veterinarians for some time with regard to the safety of feeding raw meat and raw food to dogs. Advocates of the Bones and Raw Food ( BARF) regimen argue that feeding dog’s raw meat is essential in order to deliver the nutrients in a state most closely resembling those that dogs ingested in the wild 10,000 years ago. BARF aficionados argue that by cooking, even partially, the food that we feed our dogs, we are removing critical nutrients and therefore not delivering a healthy and balanced diet to our best friend. 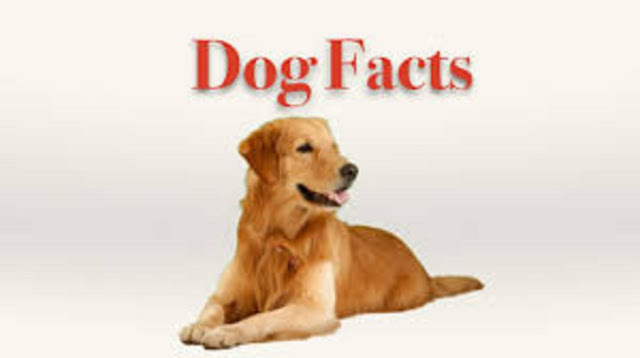 The result according to BARF advocates is that a dog which is not on a properly balanced dog diet will be less resistant to disease and will likely live a shorter life. This is the essence of BARF as I understand it. I am sure that there is more to it but our discussion here is with regards to the safety as opposed to the nutrient value of the raw food. I would acknowledge that raw meat, raw vegetables, and raw fruits will contain higher nutrient levels than those that are cooked. Nutritionists have been telling us this for years. But what if we eat raw meat? And what if Fido does?The FDA has issued Safety Guidance with regard to the use of raw meat for pet diets. This FDA guidance is published in the Federal Register and gives safety and nutrition information. The reason for the FDA action was due to the upswing in raw dog food diets and the fact that dog owners may not be aware of the nutritional and safety issues. It is the finding of the FDA that raw dog food diets are not new and in fact have been used by dog racing facilities for many years. Now the trend toward raw dog food for companion dogs presents new challenges as these dog owners may be unaware of the possible danger of using raw meat dog food. One of the problems is that raw meat diets are classified as "foods" and as such does not need pre-marketing approval or certification. The FDA goes on to state that data "... from commercial raw meat pet foods are sparse, the potential for risk to public health from such products is significant given the microbiological results from studies of ingredients that could compose such products....". There is the danger of contamination from bacteria as well as the potential harm that can be caused to the dog’s teeth and gastrointestinal system if the bone is ingested with the raw meat. Further risks exist with regard to the possibility of raw meat dog food contamination and associated disease. These risks exist as a result of transportation, distributors, and retailers. The FDA advocates minimizing these risks by the use of irradiation and proper transport and storage. So the FDA has chimed in and the question remains. 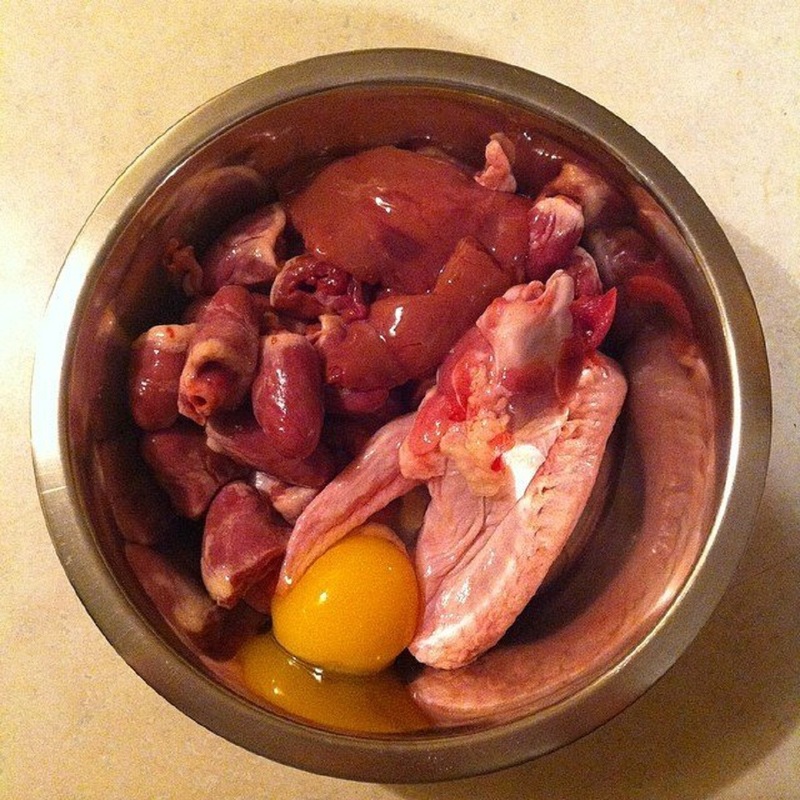 Is a raw meat diet safe food for your dog? Maybe and maybe not, it depends on a variety of factors such as the as the source and health of the slaughtered food animal, the conditions of transport, and storage both pre and post-sale. Absent Federal legislation which has to date failed to materialize and protect dogs from the potentially unsafe and toxic additives and ingredients in commercial dog food, I would be hesitant to risk it. It is imperative that every dog owner know exactly what his or her dog is eating, what the ingredients are and whether it is safe. Ultimately the choice is yours. If you are feeding your dog commercial dog food you must become familiar with what is in the commercial dog food you buy. You can't wait for a law to protect you. You must become educated in this area. Your dog's life may depend on it! How Safe is Raw Meat for Your Dog? These days, roughly everyone is taking some or the other dog insurance policy, so that they can gift a healthy life to their precious pet. Such services not only preserve a good amount of monetary assistance for your dog but also ensure an instant source of help whenever required. Most of the insurance providers are associated with numerous veterinarian and medical centers, so that the pet owners can directly approach them at times of urgency. Various pet insurance policies are now available in the finance market for providing economic assistance to the pet owners. However, there are few mandatory steps that must be considered before finalizing any dog insurance deal. First of all check for all the services and facilities that your insurance policy covers. Like any other human being, even dogs need the regular medical check ups. Hence, make sure that your preferred insurance program does have substantial monetary scope to bear the expenses of these important checkups. Moreover, dogs easily catch infections and other seasonal problems. In fact, contagious health problems are severely prominent with dogs. And for this clause also, most of the insurance companies have made special financial arrangements. Other than all these expenditures, the policy must also cover for some very common problems such as medical bills, foreign body ingestion, bone fractures, accidents, allergic reactions and first time sickness. These insurance policies also pay for advertising expenses, if your dog gets lost or missing. Hence, do not wait any more and immediately settle for a good dog insurance policy. On the other hand, even the insurance companies follow some important specifications before offering the various services of the insurance policy. First of all they check the health condition and the age of the dog. Most of the insurance providers are interested in young dogs, as they have less chances of sickness. However, with an adult dog, it gets tougher to obtain a beneficial insurance program as they are more likely to catch infections and diseases. In addition to this, your pet is also required to go through a medical checkup, so that if your dog is suffering from any fatal disease, it can be easily detected. Therefore, it would not be incorrect to state that insurance package for an old dog is somehow an expensive deal. Hence, if you have recently bought a dog then this could be the most apt time to buy a decent dog insurance program. You can easily inquire about the various insurance companies that are offering dog insurance through the medium of Internet. All leading insurance providers are available on the web with their websites that display each and every detail about the insurance policy. Any interested pet owner can also directly apply for their services through the online procedure. However, make sure that you read all the clauses and objectives carefully so that you can insure an appropriate insurance deal for your most valued pet. So, if you have a dog and wish for his long life then immediately select an insurance policy. Toy dogs, lap dogs, miniature dogs - There are a lot of names for them. On one hand, they are cute, you can bring them anywhere and they can sit in your lap. On the other hand, they have earned the reputation of being loud, unattainable and overprotective. One of the main reasons for this is that we usually do not allow large dogs to get away what we find cute in small dogs, like for example jumping, growling or being aggressive. This is often the owner's fault and there are still many reasons to get a small dog. Contrary to popular belief, miniature dog breeds are not only suited for older ladies and billionaire daughters; they can be perfect for people who need a constant companion or a family with children. As the saying goes: "There is no psychiatrist in the world like a puppy licking your face" (Ben Williams). This brings us to our first reason to get a small dog. 1. Miniature dog breeds are less expensive to keep than larger dogs. Small dogs don't need as much food than bigger ones. Medication, tick and flea preventions also cost much more for big dogs. In general, more goes in and more comes out when it comes to large breeds. 2. Small dogs don't need as much space as large dogs: A big dog needs more space than smaller dog breeds. So, they are probably better suited for people who have smaller apartments. This doesn't mean that you can't get a large dog when you live in a tiny apartment as long you take him out a few times a day. 3. Small dog breeds don't have high exercise requirements: This is good for people who are lazy or don't have enough time to go out for hours every day with their dog. Some small breeds like Maltese or Yorkshire terriers get their required exercise while playing indoors. 4. They are low maintenance: Nearly all miniature dog breeds just need the occasional brush from time to time. Larger dogs with longer coats have to be brushed more often and leave a lot more mess behind than smaller dogs. It's also easier to bath them and to : keep them clean in general. 5. Small dogs are less dangerous for children than bigger ones: Don't get me wrong, I think most dog breeds are good with children. In situations when children are too rough with dogs, there's a risk that the dog has had too much and may defend himself by biting the kids. 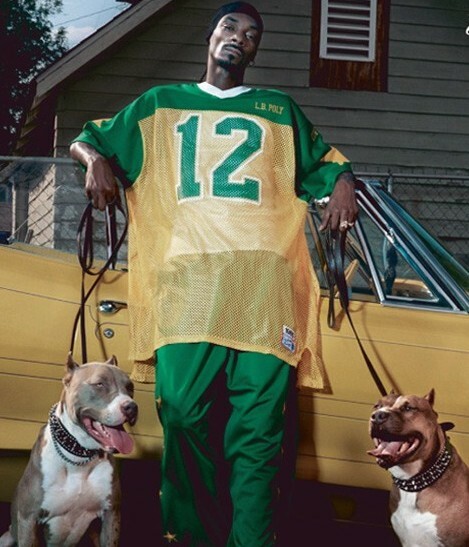 If something like this happens, it's less dangerous if it's a small dog. 6. Small dogs are like puppies: There are a lot of small dogs that stay small. How often have you heard people say that they want their dog to stay as small as they are forever? Usually, they grow up and are not as cute anymore as they were as puppies. Small dogs also get bigger but they always stay small and you can keep that feeling of having a little puppy. 7. You can bring miniature dog breeds everywhere: It is really easy to pick-up, transport and carries around a small dog. You can bring them anywhere. This is excellent for people who love to be with their dog all the time and don't like to leave them alone at home. Even if they are small, they can help get the attention of other people if the owner is attacked by a burglar or another aggressor. 8. They make great watchdogs: They might not have an intimidating presence when they are in front of you but when they are trained to bark at the right moment, small dog breeds can be great watchdogs. If unauthorized people come into the house, they can raise the alarm by barking. 9. 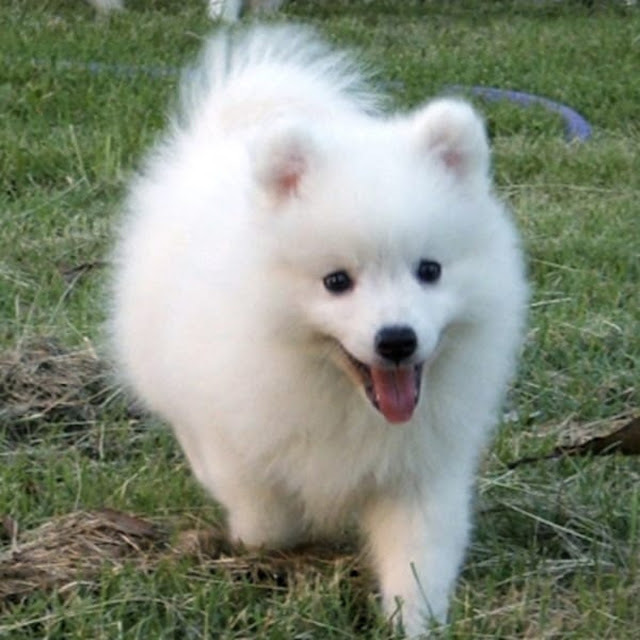 Some smaller dogs shed virtually no hair: Miniature dog breeds like the Maltese don't lose hair. It's difficult to find hair anywhere in your home if you have a dog like that and you don't need to do any extra vacuuming. 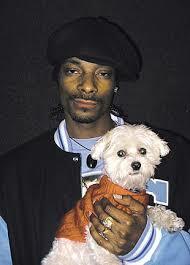 Some people who are usually allergic to dogs can keep low-shedders like the Maltese. A lot of miniature dog breeds have a higher life expectancy than larger breeds. Some of them can get older than 15 years. If you want your dogs to get old with you, they might be the best choice for you. If you have a dog that spends a lot of time outside, keep an eye out for fly bites on the dog's ears. Dogs with "standing ears," are an easier target then ones that are "floppy." If you see flies around the dogs head or flies landing on the ears, you have a problem. 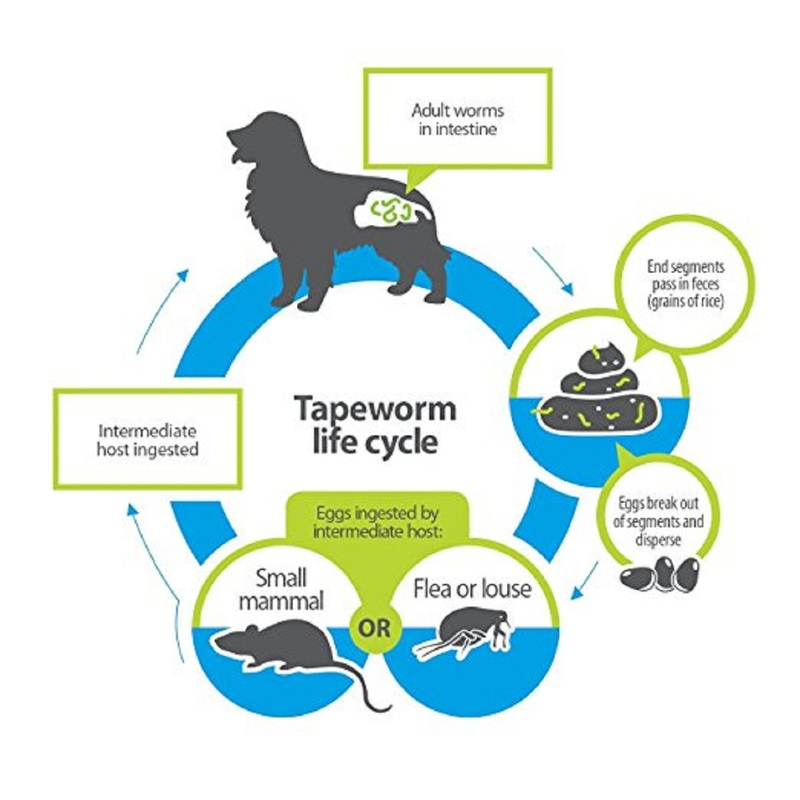 The fly lands on the tips of the dog's ear and bites the surface to obtain a "blood meal." The damaged surface from the many fly bites gives the flies the perfect place to lay their eggs. If this is not treated, these eggs will later hatch into maggots. You must take immediate action to prevent the eggs from hatching and to heal the damage to your dog's ears. There are several thousand different species of flies throughout the world. The species of flies you have depends upon where you live. These flies can feast on the surface of the dog's ears, (or sometimes, the bridge of the dog's nose.) 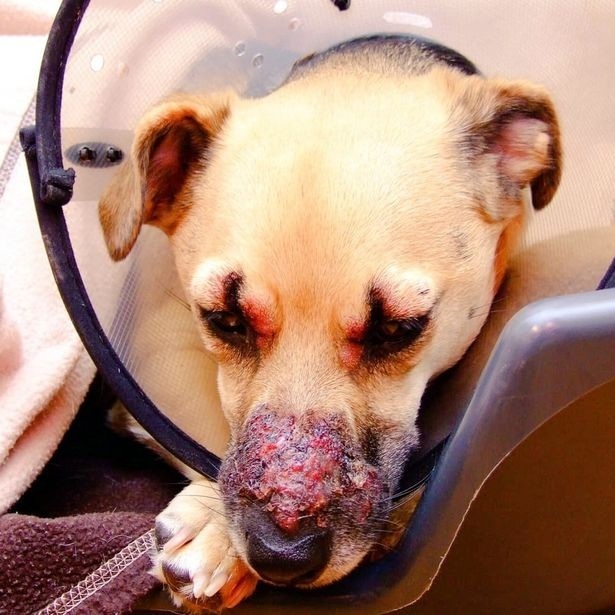 Fly bites are not only painful for the dog, but can lead to further problems if left untreated. So what are these problems and how can you protect your dog? 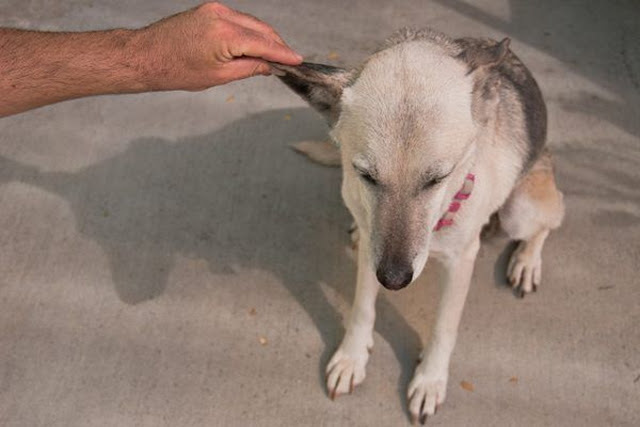 Because the dog's ears will be painful from the many fly bites, you must gently clean the ear off with warm water and a very mild antiseptic soap, or betadine. To control any infection, gently apply a topical antibiotic ointment. If the damage is severe on the dog's ears, keep your dog inside until the ears are healed. If the dog won't stop rubbing his ears on the carpet or furniture, or if the sores keep getting worse; (and especially if maggots are present); then you better rush your dog to a Veterinarian. The most successful treatment, of course, is prevention. You can buy sprays and/or ointments that are very effective in repelling flies such as permethrin; or look for a product called "SWAT" or "FLYS OFF," where they sell horse supplies. Another way to help prevent the fly bites is to place a thin layer of petroleum jelly on the top of the dog's ears and replace often. Caution...You don't want any product to come in direct contact with the dog's eyes. Instead of spraying any product on the dog's ears, spray the product on something such as a make-up remover pad or a soft clean cloth and then wipe the surface of the ear. 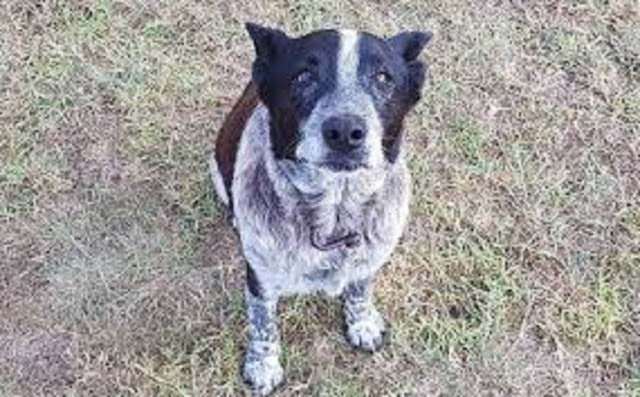 A three-year-old girl lost in the bush overnight in Australia was rescued after a deaf, partially blind dog stayed by her side all night and helped the researchers find her. She was followed into the bushland by Max; the family’s trusted dog, a 17-year-old partially deaf and blind cattle dog. The dog stayed by her side for approximately sixteen hours even as rain was falling and the overnight temperatures dropped. The pair seems to be protected under a rock. In the morning, around 100 emergency workers and local volunteers left at first light to try to find Aurora. The little girl was discovered around 7.30am after her grandmother, Leisa Marie Bennett, heard her crying faintly “Granny” from the top of the mountain, one mile from the house. When Mrs. Bennett approached, Max came out and meets her and took her to Aurora. According to Ms. Bennett to ABC News "When I heard her scream" Grammy, "I knew it was her." "I climbed up the mountain ... and when I got to the top, the dog came up to me and took me directly to her. He did not leave her sight, she smells dog, she slept with the dog." According to Ian Phipps, from the State Emergency Service, the surrounding area was mountainous and "rugged terrain." "She walked a long distance with her dog, that was faithful to her," he said. "With yesterday's weather it is quite lucky she is fine because it was cold and raining." Ms. Bennett’s partner, Kelly Benston wrote on Facebook that Aurora was "fine" and was found with “some scratches from the bush but wasn’t even afraid”. Ms. Bennett said the meeting with her granddaughter included "a lot of tears." "I think [Aurora] was a bit besieged by the howling and tears, but I enlightened her how happy those tears were," she said. "It could have gone any of the 100 ways, but she is here, she is alive, she is well and it’s a wonderful outcome for our family." 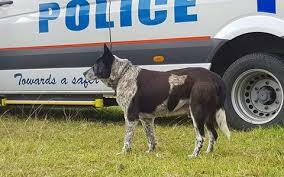 After the rescue operation, the Queensland police force name Max an honorary police dog. Check out the video below. As a nation of dog lovers, we know that keeping our furry friend happy and healthy is important. Recently, dog owners are turning to a wearable device to monitor their pet wellness. Like human activity trackers, these devices show how much time your dog spend walking, running and playing, as well as sleep quality. Now, these types of devices are made for dogs and the owners are embracing the idea. Fortunately, dog activity trackers have a lot of advantages that make it easier for dog owners to keep their pets healthy. It helps count Steps and Monitor Sleep: Some dogs are lazier than others and a lack of movement can result in unwanted health problems. Hormone imbalances, Cardio-respiratory disorders, tracheal collapse, skin problems, and early death have been linked to dog obesity. As dogs get they are likely to exercise less and sleep more which encourages weight-gain and its associated health issues. With this new wearable technology, owners can easily monitor for any necessary changes to their pet’s diet or the possible need for veterinary intervention. Burn Calories: Dog calorie requirements vary depending on age, reproductive status, activity level and. For instance, a Jack Russell Terrier breed needs more calories than the less-active miniature poodle breed, not minding the similarity in size. These is the reason some breeds need more exercise than others. 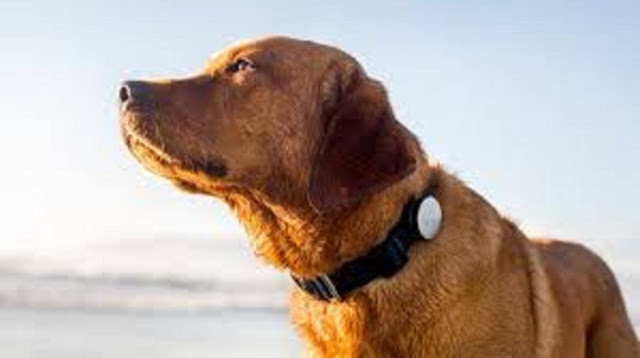 Dog fitness trackers like the FitBark, track the calories burned daily by our furry companions. Make sure that your dogs getting the appropriate amount of calorie intake to maintain a healthy body condition. Remote tracking: The monitoring of physical conditioning methods is common among active human beings.The dogs do not care where they were, but the owners may want to know. Fortunately, many dog followers have applications available that allow owners to do so. These days, some parents of pets can live comfortably without work. Smartphone calls allow owners not only to use GPS to find a lost dog but also to follow the daytime activity levels of the comic as they are geographically separated. Some tracking devices provide fun lighting controls to increase visibility. Dog owners often worry about not knowing the sort of problem Fido is getting while they are at work. Regardless of where the dog is, the owners must ensure adequate exercise to protect the dog from the undesired effects of low activity levels. Incredibly, dog owners seem just as likely to monitor their pets’ activities as they are to track their own.